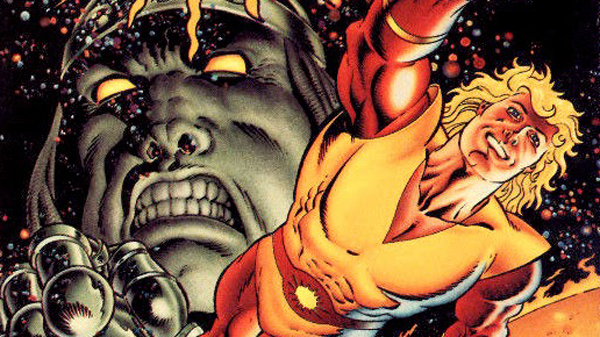 One of the most obscure Marvel superheroes got one of the most obscure failed pilots! He's called "Solarman," he's basically Green Lantern without the interesting bits, and he was rebooted from another comic book line and this version was co-created by the late, legendary Stan Lee! But was Solarman's adventures to defeat the sun-destroying leader of the Robodroids, Gormaga Kraal, Canceled Too Soon? You'll find out as our MARVELOUS MONTH OF MARVELS continues! William Bibbiani and Witney Seibold delve into this weird relic of the 1980s and 1990s and emerge with dumb robots, fantabulous hunkiness and more.